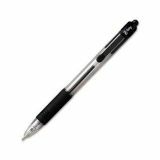 Leader in the world of Retractable Ball point Pens. 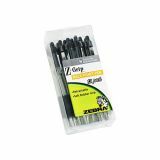 Zebra Z-Grip Retractable Ballpoint Pen, Medium 1mm, Black Ink, Clear Barrel, Dozen - Looking for an everyday tool that doesn’t look or perform like one? The Z-Grip delivers on all fronts: value, performance, comfort and style. 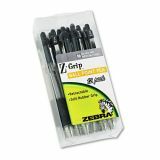 The Zebra Z-Grip Retractable Ballpoint Pen is lightweight, with a comfortable rubber grip, a convenient metal clip and a translucent barrel to indicate the amount of ink remaining. Quick-drying ink reduces smearing to keep your documents clean and safe. 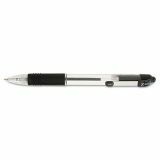 Retractable pen protects pockets and purses. 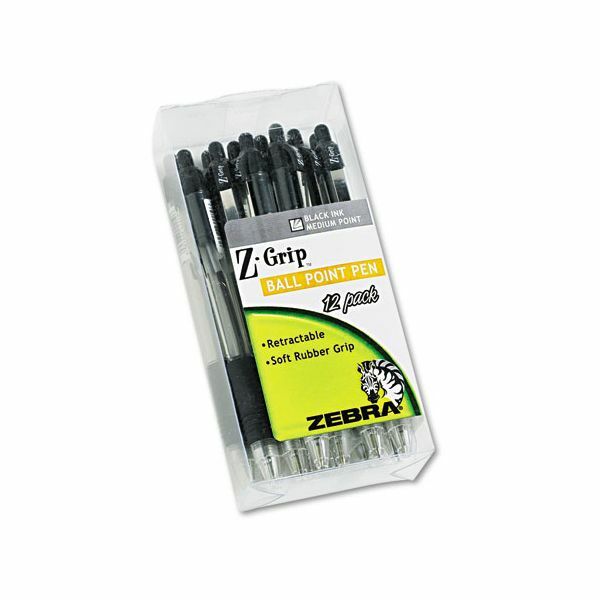 Z-Grip pens have a 1 mm medium point, are nonrefillable, and have a black ink color and barrel. Clear barrel for ink supply monitoring. Comfort grip and metal clip.